While at the museum I learned that the following week Zak's documentary about the Demon House was going to be released in theaters nationwide in limited locations. The documentary is aptly called Demon House, and even though it was widely released to be viewed through streaming and On Demand two weeks ago, I decided to wait and see it at a midnight showing at a local theater in a room that is allegedly haunted, hoping also to see audience reactions. 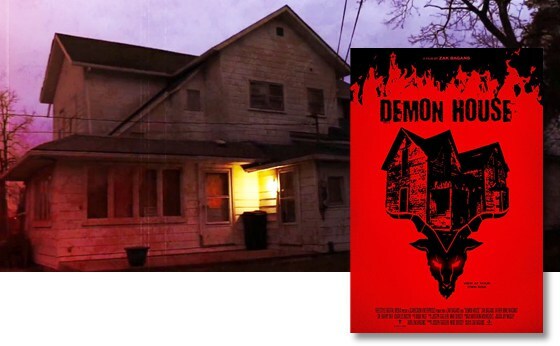 The documentary begins with a history of the Ammons haunting case at the Demon House, when an alleged haunting and demonic possession occurred in this Gary, Indiana home in 2011. Latoya Ammons, her mother, Rosa Campbell, and her three children claimed this paranormal activity occurred in their residence. It then continues to document what happened in the house after the Ammons family left and when Zak purchased it in 2014, until he tore it down in 2016. What made this case so compelling? 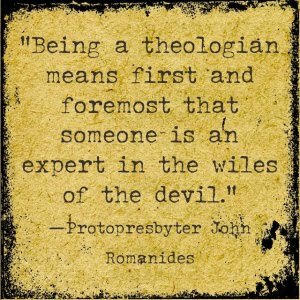 The credibility of the people who reported witnessing demonic and paranormal activity of a most frightening kind. Back in December 2014 Latoya Ammons reported that both she and her three children had been possessed by demons. This report immediately led to the Department of Child Services stepping in to investigate along with the police and many medical professionals. These weren’t loonies or Internet trolls. These were real, reputable people in positions of public safety and service. Shortly after all of the media attention, the story hit the radar of “Ghost Adventures” host and creator Zak Bagans, who immediately bought the house to investigate it. Would this place yield the kind of evidence that Bagans and his crew had sought after for so long? After seeing Demon House, I think it’s safe to say he got a lot more than he bargained for. Throughout the film Demon House explores a variety of possibilities. Could it have all been a hoax? Was it mass hysteria? What makes Bagans and company so successful at what they do is that they go out of the way to try to disprove as many claims of the paranormal as possible, leaving us just with the unexplained. With Demon House Bagans is not looking to convince anyone of the existence of ghosts or demons. It’s just an account of what happened before, during, and after he owned the structure which has drawn so much attention. Let me be clear… This is in NO WAY a spin-off 90-minute episode of “Ghost Adventures,” in which the guys use a number of devices and tons of night vision and/or full-spectrum cameras to tell their stories and collect evidence. Instead, Demon House utilizes the people who were affected by the case to convey just how insanely scary the events surrounding this building actually are. Was there possession? Is it haunted? Was the house used for nefarious purposes? Every time you think that things cannot get any stranger, the story keeps building and the tension keeps mounting. Throughout the film Bagans is both in and very much out of his element. He displays as much a roller coaster of emotions as there is a roller coaster of events. His usual precise and well-thought-out demeanor, though as present as it is in his Travel Channel series, is rattled quite a few times. There are many moments in which even he is like, “Okay, what in the world is going on here?” This wasn’t an investigation that lasted one evening and was then assembled into a 43-minute series; this is one that went on for months, taking an intense toll on all of its participants. Demon House will leave you with a lot of questions about the existence of both the normal and the paranormal. It’s a masterfully created and seriously frightening account of what can happen when things just end up getting far out of control… when events occur that supersede rational human comprehension and reason. It’s one of the single most compelling documentaries on the existence of the supernatural that I’ve ever witnessed. Whether or not The Ammons House was haunted or is the portal to hell is still very much debatable. As always, there will be people who believe and those who do not. However, the effect that it has had on just about everyone who has ever walked through its doors is undeniable. Demon House can be streamed online or purchased On Demand, or you can catch it in select theaters nationwide.